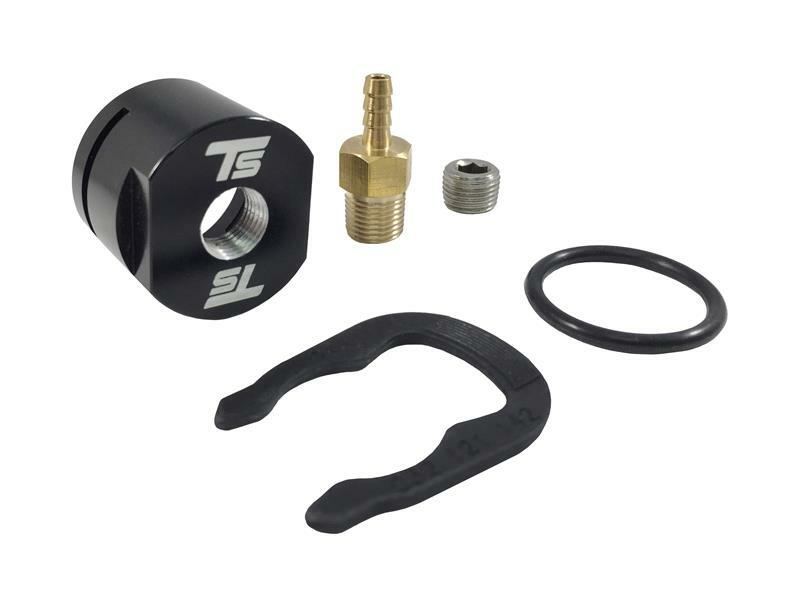 The Torque Solution Volkswagen FSI/TSI 2.0T & 2.5L engine PCV Delete / Boost Cap was designed to be used when removing the OEM PCV system. Also, includes a 1/8th NPT port that can be used with the supplied fittings to either remain block off for connecting a boost gauge, boost controller or any device that requires a vacuum / boost reference. Our boost cap allows you to install your part without having to tap into your stock lines.